Get outside of the box with your students! 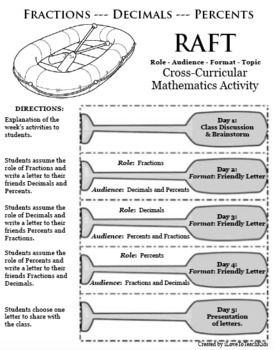 Apply mathematical concepts into writing in a fun and creative way. Students will assume the role of different math concepts and produce a friendly letter that incorporates attributes, differences, and oftentimes humor. This activity can be used as a completely different way to assess students' understanding. 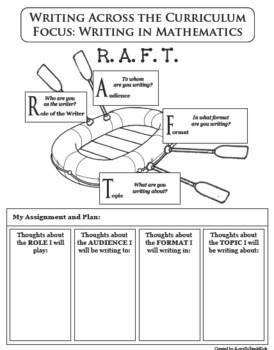 Please look for additional RAFT topics. Your students will enjoy having the opportunity to let their creative juices flow, and, they will thinking about math in a whole new way. Activity Description: Students will write a friendly letter to their close friends about what makes them so special. 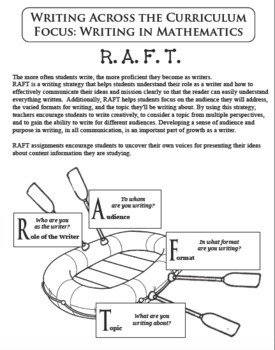 Possible topics to include in the letter are special characteristics and real-life examples of where they are used. Each student will consider and apply the five parts to a friendly letter including Heading, Greeting, Body, Closing, and Signature. 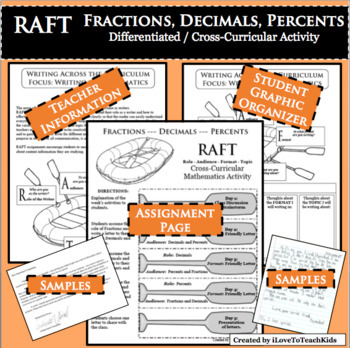 A graphic organizer is included to help students organize their thoughts and ideas as they brainstorm on the math concept that have assumed the role of.